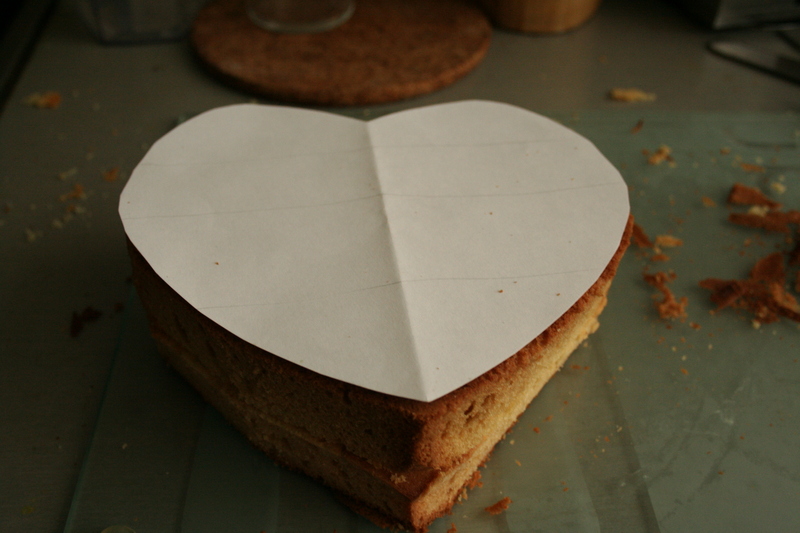 Hardly any shops seem to stock heart shaped cake pans throughout the year. As it turns out, they are only available around Valentine’s day. If you haven’t bought one around this time of the year, you may find this little trick I learned on eHow.com pretty useful. 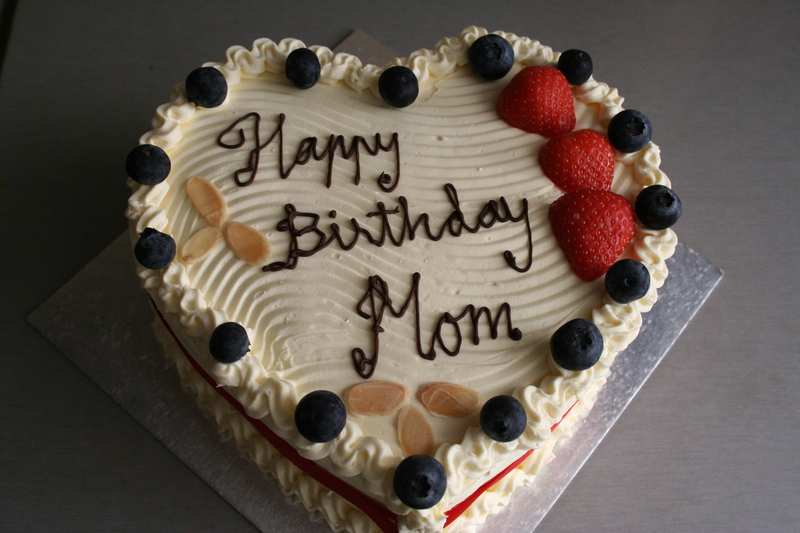 – Use the base of the round cake tin to cut out a circle on a piece of card paper. 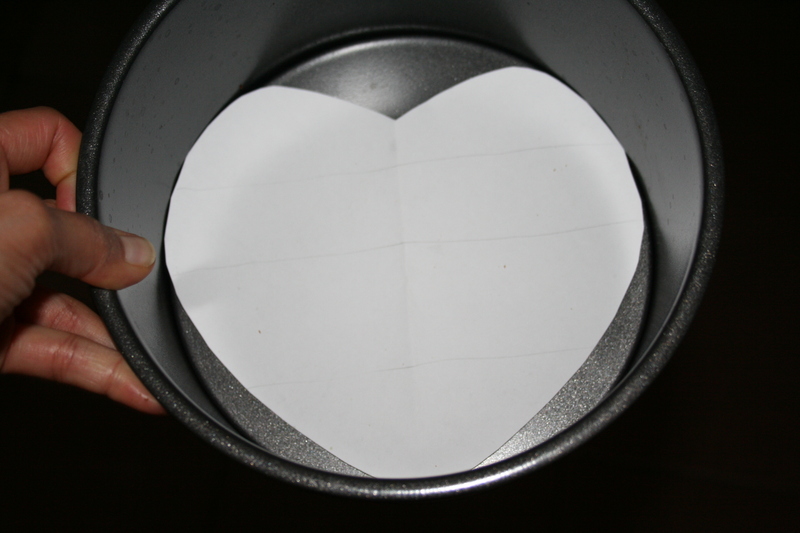 This entry was posted in Cake, Custom, Design, Innovation and tagged "egg free", "Heart Shaped cake" "without heart shaped cake tin", Eggless, tricks. Bookmark the permalink.